I’m scared of being in pain after the operation. What pain relief is available? Pain is a complex bodily response to a noxious or damaging stimulus. It represents on of the basic responses that any living organism must have as it is a fundamental survival need to be able to remove or defend oneself against such stimuli. A pain stimulus can take the form of heat, pressure, disruption of tissues and so forth. Pain is also experienced when damage has been done to tissues in the body is results from the inflammatory response to such damage. Pain is a well preserved response meaning that are numerous different pathways through which painful stimuli are relayed to a persons brain. A pain stimulus also sets off a complex response in a person’s brain that involved their emotions. For these reasons pain remains a difficult physiological response to control and modify and presents a significant challenge to patients and medical staff. In this section an attempt will be made to explain more about the different types of pain and the methods used to treat it. Surgery causes tissue damage and the body responds by setting up an inflammatory process. This is the first step in starting to heal the tissues. The surgical damage and the inflammation results in pain through stimulation of the pain receptors. There are numerous types of pain receptors that respond to different noxious stimuli (heat, mechanical, chemical). The receptors are usually stimulated by mechanical distortion and local increases in hydrogen and potassium ions. The inflammation process results in the release of various substances that make the pain receptors more sensitive. There are specific nerve pain fibres that conduct the stimulus from the receptors to the spinal cord and up to the brain resulting in the experience of pain. The brains response to this experience is complex and includes immediate responses such as increasing the breathing and heart rate, increases in blood pressure, slowing down the bowels activity, increasing the blood sugar levels and causing the body to retain water. The psychological response is fear and anxiety and when prolonged can result in anger and resentment of the medical staff. There is a large difference in the way that people experience pain. Unfortunately there is no way of predicting in advance precisely how much pain someone will experience after an operation. The site and type of surgery offers a starting guideline. For example, upper abdominal surgery produces more pain than lower abdominal surgery. Males and females have the same pain medicine requirements after similar types of surgery. However there are reduced pain medicine requirements with increasing age. A patient’s personality also affects pain perception. Individuals who are more anxious usually have increased pain medicine requirements. In addition how individuals respond to pain medication varies according to their sensitivity to the drugs. Some individuals may be very sensitive to morphine and have lower requirements than others who may have some resistance. For these reasons anaesthetists have developed numerous different methods and protocols to try and optimise the individual management of patients pain after surgery. Pain is a subjective experience and is difficult to measure. However numerous different methods have been developed whereby patients and individuals can convey to medical staff the extent to which they are experiencing pain. The two most popular methods are the Verbal Rating scale and the Visual Analogue Score. The verbal rating scale involves asking someone whether they are experiencing mild, moderate or severe pain. Alternatively they may be asked to rate on a score of 1 to 10 the severity of the pain. The Visual Analogue Score involves making a mark along a straight line to indicate the severity of the pain. The one end of the line represents no pain and the other the most severe pain a person can imagine. Medical and nursing staff use these scores to guide the administration of pain medication and then repeat the use of the scores to assess the response. Due to the fact that pain is such an important reflex and there are numerous different receptors and pathways, pain control requires the use of as many different treatment methods as possible. Except for mild pain, one drug is usually insufficient. The following outline lists the most important methods and drugs used. This is one of the best methods of pain control as the local anaesthetic drugs injected at the site of the surgery block the transmission of the nerve impulses to the spinal cord and the brain. For small surgical operations, local anaesthesia can provide complete pain relief and it is used extensively for this purpose. However there are unfortunately significant limitations on this technique. Firstly the local anaesthetic drugs have toxic side effects that limit the dose that can be used and this is why it is only really suitable for small operations. Secondly the local anaesthetic drugs only last for a few hours and it is not feasible to keep on injecting them when they wear off. Nonetheless they do help provide significant pain relief in the first few hours after an operation. To overcome the short duration of action devices have been developed that provide a continuous infusion of local anaesthetic drugs into a wound via small catheter (pipe) that is left under the skin. These devices can be used after major operations however they only provide some relief for the pain caused by the skin incision. Most operations involve surgery on deeper tissues and this pain will not be relieved by these devices. This involves injecting local anaesthetic into the nerve bundles that supply a particular area of the body. For example a brachial plexus nerve block can be used for relief of pain for surgery in the arm and hand. The blocks that can be performed are many and varied and can be of help if used correctly. However the same limitations described above apply to these blocks most importantly a short duration of action. They have an additional limitation in that the success rate of the blocks is not 100%. For some of the blocks it is possible to insert a catheter next to the nerves and infuse local anaesthetic however this is not a widely practiced technique. Spinal and epidural anaesthesia is explained in greater detail in the relevant section. However in brief they can both be used for post operative pain control. Spinal and epidural anaesthesia can be used on their own for certain procedures in the legs and the lower abdomen or in conjunction with general anaesthesia for these procedures or more major procedures in the upper abdomen or chest. Spinal anaesthesia has the limitation of a short duration of action and although spinal catheters to prolong the effect have been tried they are not widely used. The most simple technique for increases the duration of action is to add a small dose of morphine to the spinal and this will result in pain relief for up to 18 hours. It does however have side effects such as nausea and vomiting, skin itching and causing one to stop breathing and so appropriate monitoring is required after it has been used. 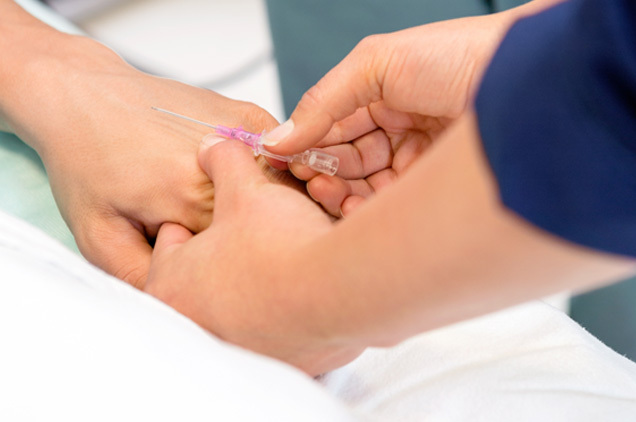 An epidural anaesthetic is always done with the insertion of a small catheter into the epidural space and this can be used for infusion of local anaesthetic for up to 3 days post operatively. It is an extremely effective technique for control of pain after major surgery. This class of drugs includes agents such as indocid and ibuprofen. They are more potent than paracetomol as they act by decreasing inflammation. However they do have some side effects that can occur when taken for more than a few days. This is a large group of drugs that provide the mainstay of the treatment of significant post operative pain. The first drug from this class that has been available for centuries and is still widely used is morphine. Other agents include drugs such as pethidine and fentanyl. They are administered intravenously or by injection under the skin. There are also oral preparations for these drugs although there effect is not as potent. The drugs are tightly controlled as they have an addiction potential when used inappropriately. They however do not result in addiction when used in patients for a few days in the post operative period. They are usually prescribed to be administered by the medical/nursing staff when the patient requests them. However these orders are reviewed on a daily basis and the administration of these drugs is stopped as soon as a patient has recovered from the operation. An extremely effective method of administering these drugs is by using what is known as a Patient Controlled Analgesic Device (or PCA). This is where an amount of morphine or fentanyl is mixed in a computer controlled pump and the patient is given a button to push that will administer the drug. The computer is programmed such that a patient cannot overdose themselves with the drug. This method is relatively simple to use and allows a patient to have control over their own pain medication in the early recovery period when they most need it. Before major surgery it is important to have a detailed discussion with your anaesthetist about the methods that are going to be used to manage pain postoperatively. Such a discussion will help to allay any anxiety and allow for a better understanding of the methods of pain control that will be used. What is the chance of dying under an anaesthetic? I always vomit after an anaesthetic. Can anything be done to prevent this?